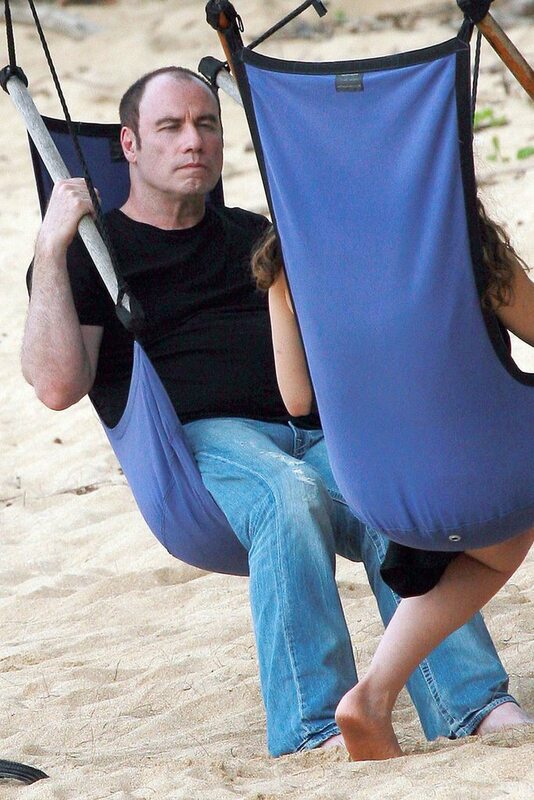 John Travolta and Kelly Preston at their beach house in Hawaii. 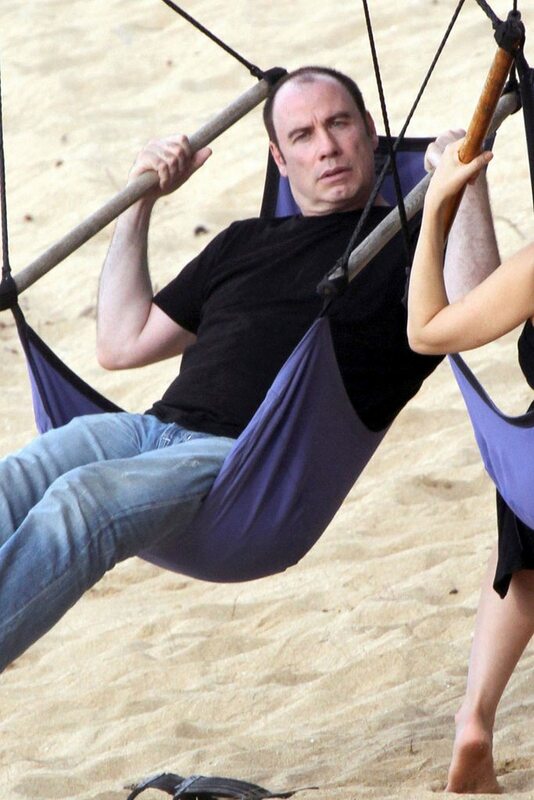 For years John Travolta has meticulously tried to hide his baldness, even going so far as demanding re-shoots of magazine spreads if his hair piece was the slightest bit obvious. Cut to this weekend where a John Travolta was caught without wearing his wig.